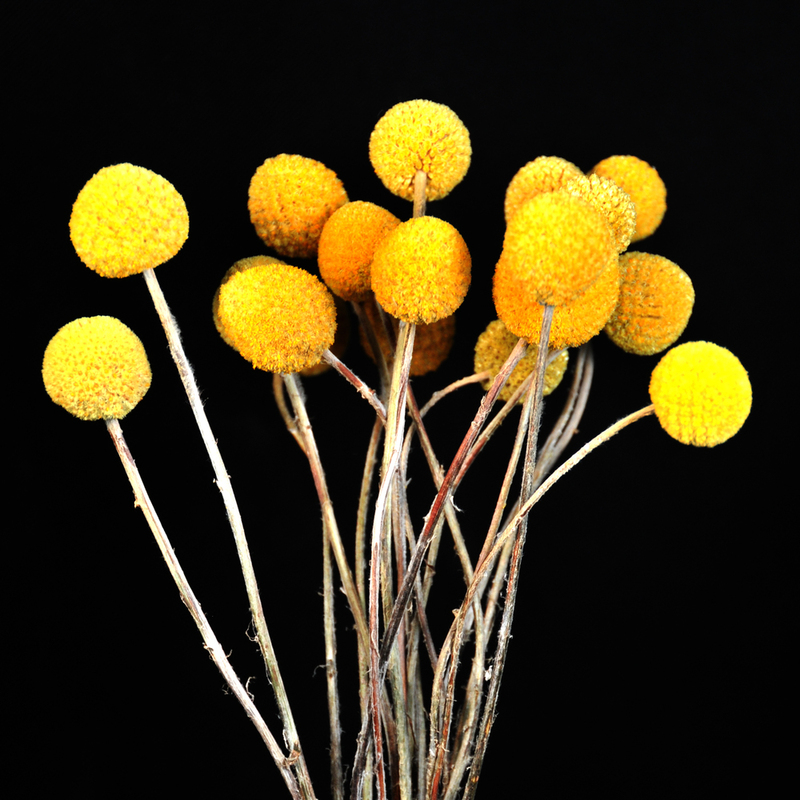 Craspedia are also known as Billy Balls, Billy Buttons, or Drumstick. They have striking, yellow heads formed into perfect spheres. Their unique shape and golden color add a focal and textural punch to flower design. ORIGIN: Craspedia is a native flower of Australia, Tasmania, and New Zealand. It's name comes from the Greek, kraspedon, meaning "edging," which refers to its silvery, feathery foliage. CARE & HANDLING: Using sharp scissors or a knife, cut 1/2 inch off the stems and immediately place them in a clean vase filled with fresh, cool water. If you are adding to a mixed bouquet, allow at least four hours for the Craspedia to fully hydrate before handling.